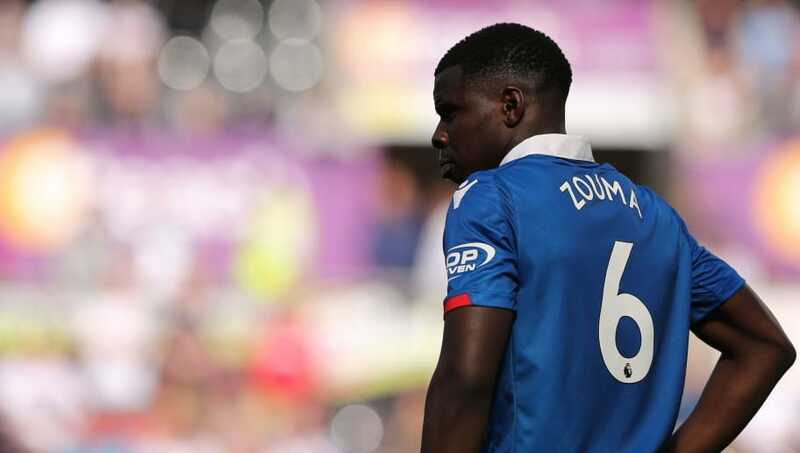 ​Everton could turn to Kurt Zouma as their search for centre-halves goes on, with deadline day fast approaching. Boss Marco Silva had expected to tie up deals for Barcelona’s Yerry Mina and Manchester United’s Marcos Rojo but hasn’t been able to complete either of those deals yet. ​Chelsea star Zouma spent last season on loan at Stoke City where he was one of few impressive performers as the team suffered relegation. Those performances haven’t brought a lot of offers for the player though who looked set to stay at Chelsea this summer. With Antonio Rudiger, David Luiz, Andreas Christensen and Gary Cahill ahead of him in the pecking order, the 23-year-old doesn’t appear to feature in Maurizio Sarri’s plans for next season. It means Zouma could be available to Marco Silva, who according to the Mirror, is desperate to sign a centre-half before Thursday’s deadline. The Toffees currently have just two centre backs ahead of the season opener this weekend: Michael Keane and the 35-year-old Phil Jagielka. Mason Holgate, the only other senior centre-half in the squad, is currently out injured with the new season just days away. Silva has sanctioned the sales of Ramiro Funes Mori to Villarreal, and Ashley Williams has recently joined Stoke City. With neither deals for Mina or Rojo completed it has left the club worryingly short in that department. Silva is still hopeful of getting at least one of those deals over the line with the Partidazo of COPE claiming via their Twitter feed that a deal for Mina is just hours away. Any move for Zouma will likely be another loan for the Frenchman with Chelsea still hesitant to sanction a sale. That means the deal won’t be bound by Thursday’s deadline as clubs will have another three weeks to add loan players before transfers cease altogether.